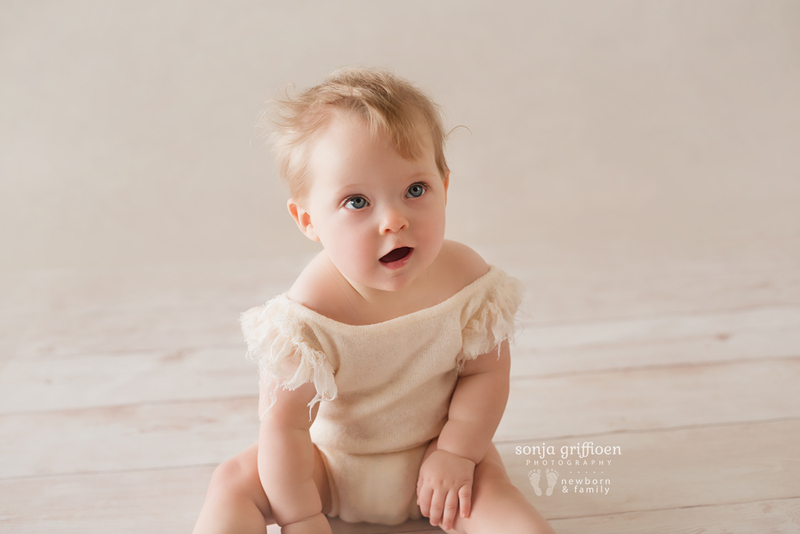 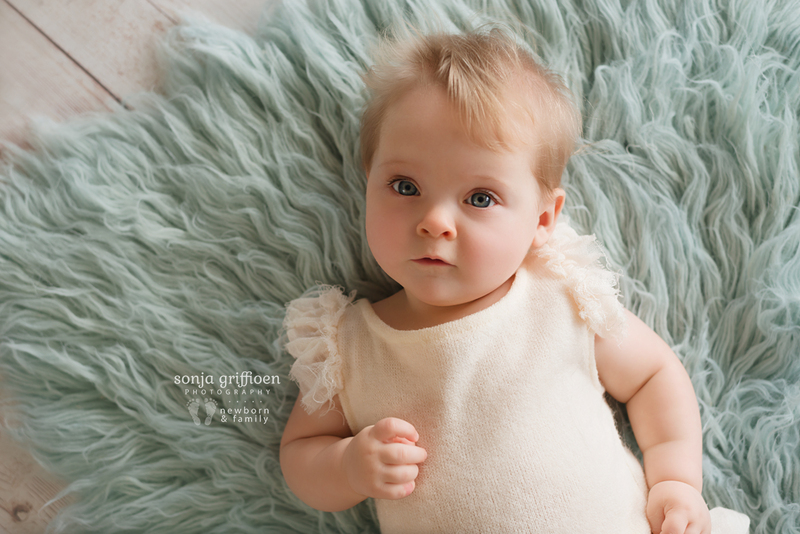 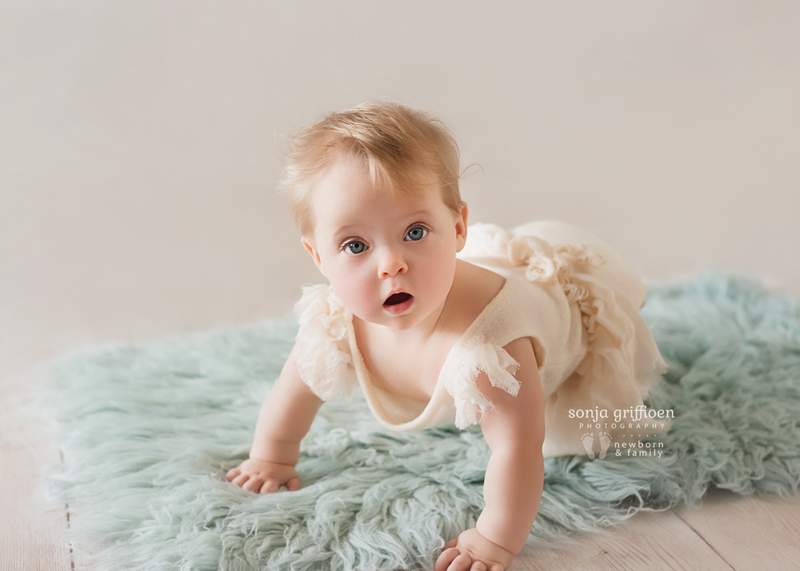 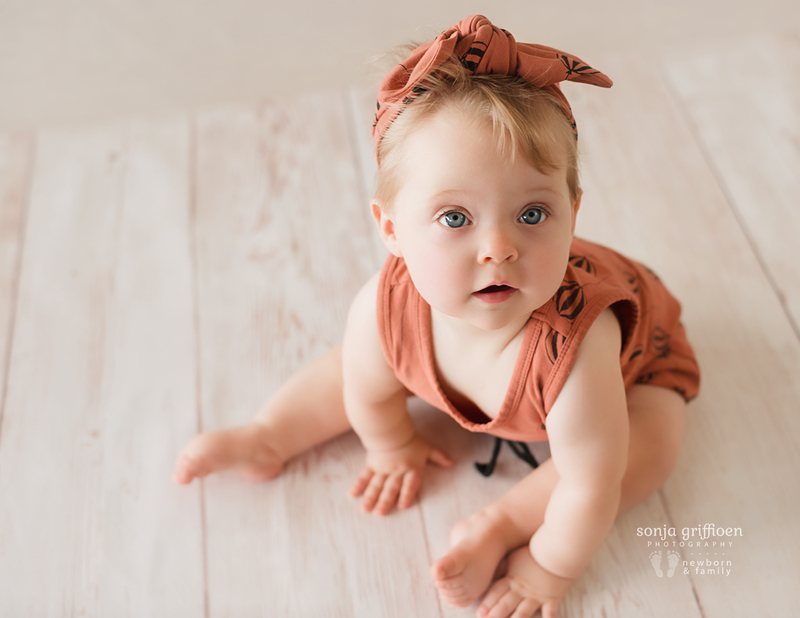 This beautiful 7 month old was just so much fun to photograph! 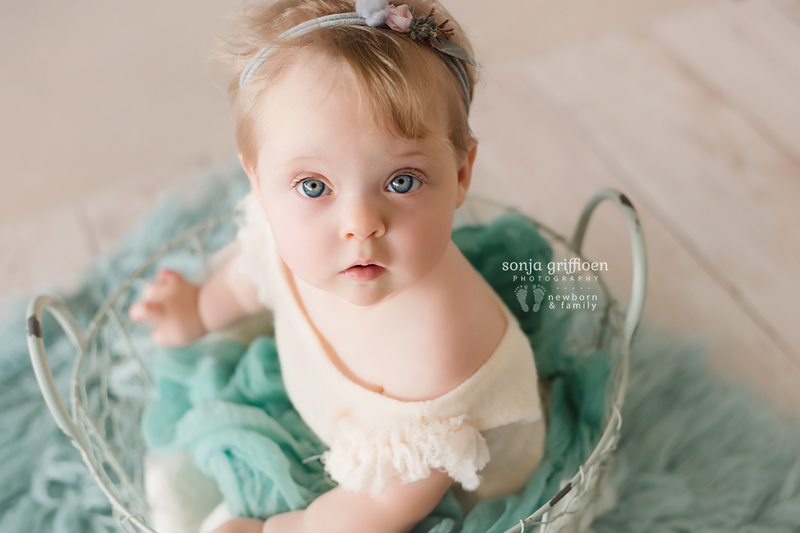 With her beautiful light blue eyes, and the cutest expressions, I am so so happy she came back to me :) I love her little hairstyle, too! 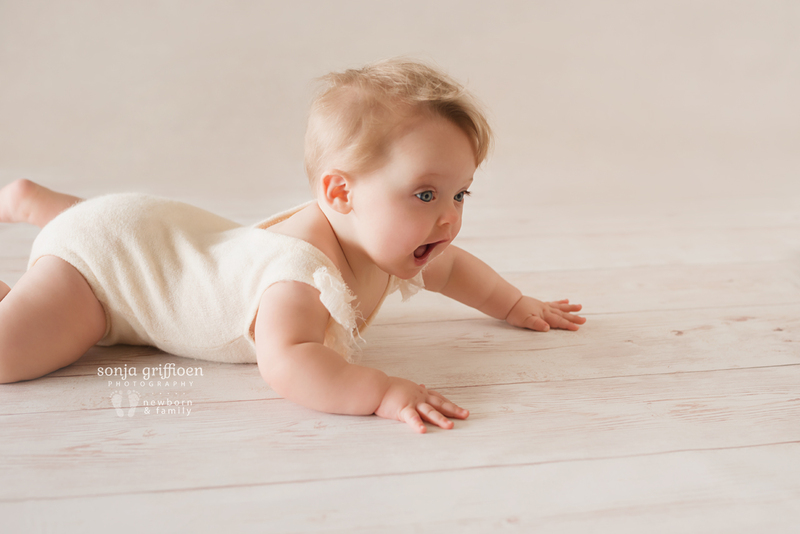 Isabelle can crawl, sit up, and loved having her feet all the way up to her face! 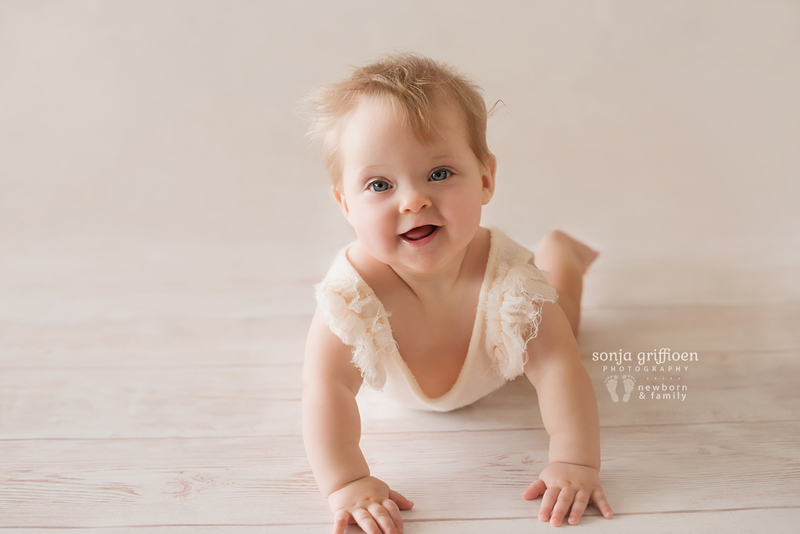 Her parents had to help get her feet up, but once she grabbed onto them she was having so much fun with it! 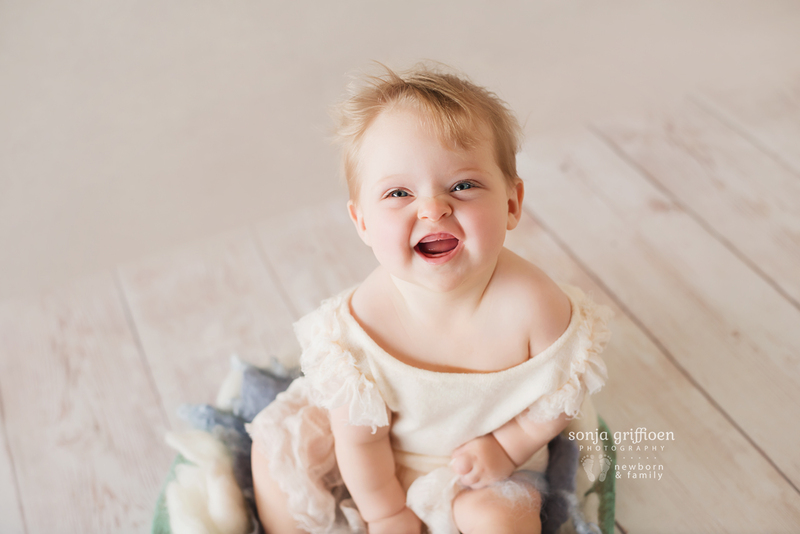 I am so excited about these photos and hope you guys find a beautiful place to hang her photo(s)! 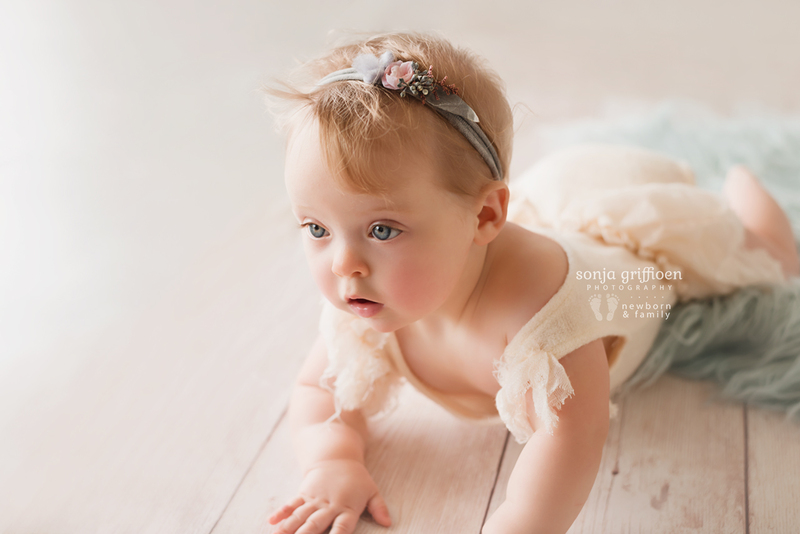 I am sure she will enjoy looking at them as she recognises herself more and more. 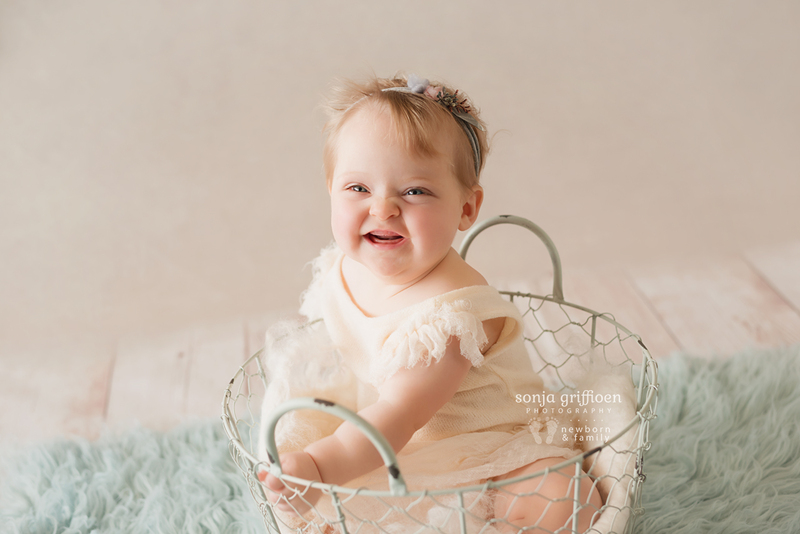 She is one special, beautiful little girl. 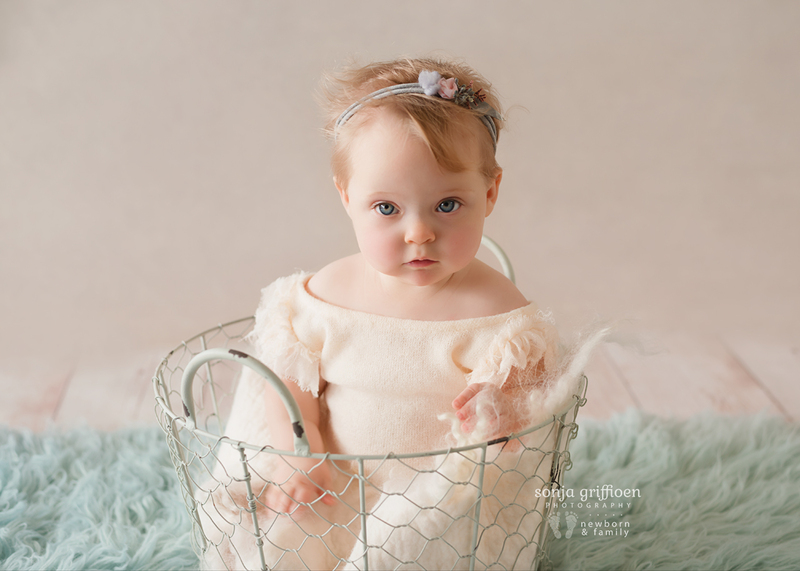 Thank you, Rowan and James, for bringing your sweet Isabelle to me for her milestone photos! 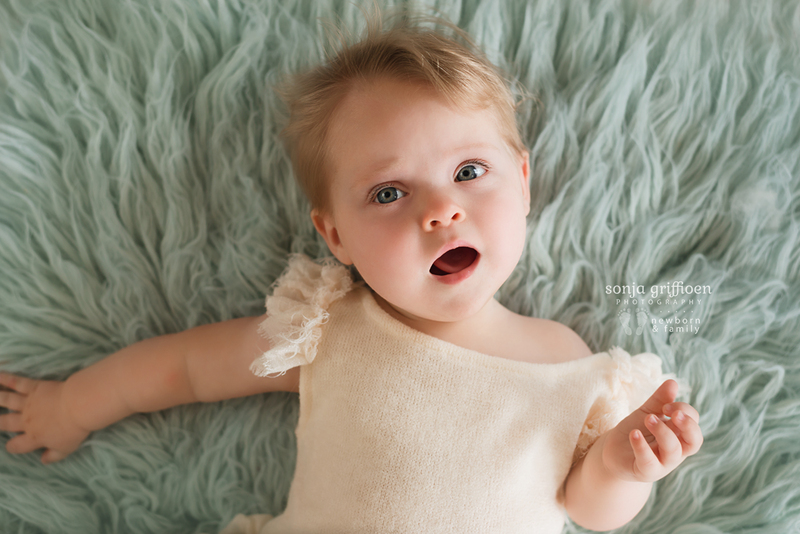 I feel so privileged to have had another chance to pose and photograph her :) I hope you love these!